Time for brutal honesty. The better you can think, the better you can live. If you can’t think worth squat, you won’t get much. Let’s face it. If you have trouble understanding complicated subjects, it’s going to be difficult to get rich. If you have trouble expressing complex emotions, it’s going to be difficult to create enjoyable and sustainable relationships. When you get down to it, there are three basic skills that are responsible for all success. The better you are at these skills, the more easily you’ll sail through life making money and breaking hearts. The less skilled you are in these three areas, the harder life will be. That’s not fair. That’s not even nice to say. But if you do an honest gut check, you’ll know it’s the stone cold truth about life on Earth. But the good news is you’re about to learn how to consistently and significantly increase these three skills. This Trifecta of Excellence. Once you discover the structure of these skills, and how they are the main ingredients of every single invention and scientific discovery since the dawn of time, you will be on a path to consistent success. There’s plenty of myths about human intelligence. That it’s fixed. That whose who are smart are lucky, and those who aren’t had better just shut the hell up and do what we’re told. Lucky for us, every single thing that we humans can do is a skill. And guess what? Once you understand how these three necessary components of human excellence are skills, we can learn how to practice them. Learn how to increase them. You’ll learn several powerful exercises that when done daily, will increase the three most vital components to human success. Once upon a time, we humans didn’t have much. We had a bunch of animals we had to chase around and kill before eating. Back then, there wasn’t a lot of people. Then something extraordinary happened. This was much more of an intellectual shift than people realize. It required a much different type of thinking. A thinking that was far beyond right now. A thinking of doing something today to reap the benefits a long ways off in the future. And ever since we’ve made that shift, human ingenuity, technology, science, art, literature and everything that is a pure creation of the human brain has exploded. Taken off. And every single one of these inventions is based on three identifiable skills. These three skills are responsible for every creative thought, every invention, every scientific breakthrough ever created. Those rare people who were gifted in these three areas are hailed as heroes. We remember them thousands of years after they lived. Einstein, one of the most unique scientists who ever lived, was onto something. He didn’t just stumble upon world altering ideas like relativity. He had keen insight into the very structure of thought. He knew the secret to genius was not mysterious intellect, but imagination. You’ll learn plenty of exercises that will train you to think like Einstein. To look out in the world and wonder, “What if…” and then let that imagination take on a life of it’s own. To follow it to its natural conclusion. Most people don’t think about thinking. We just think. But thinking is a skill like no other. Once you learn how to practice thinking, how to do specific thinking exercises, you will strengthen your imagination muscle. Guys like Einstein, Newton, Archimedes, they lived in the same world as everybody else. That saw and heard the same things as everybody else. They had the same raw materials in their brains as everybody else. But what they did with them was fundamentally different than everybody else. You’ll learn the three powerful skills of genius. Of taking the raw ingredients the world offers you, taking those into your brain and creating magic. Magical ideas and thoughts and observations that will make your life a fantastic adventure filled with financial and social success. You’ll know about the three powerful skills behind every single creative thought that ever popped into the brain of a recognized genius. Exactly how these ideas spread to the minds of other geniuses, and with these three skills, became real inventions that changed the world. The first of the Trifecta of Excellence. How you imagine. Your ability to imagine rich and specific hallucinations. The stronger you can hallucinate, the more richly and in more detail you can hallucinate, the more creative and intelligent you can be. This is not a gift. This is not based on genetics. This is based on practice. Simple daily practice. If you wanted to become a push up champion, all you’d need to do every day was pushups. If you want to become a thinking champion capable of rich, vast, detailed hallucinations, you would simply do specific exercises every day. Some hallucinations are static. Unchanging. 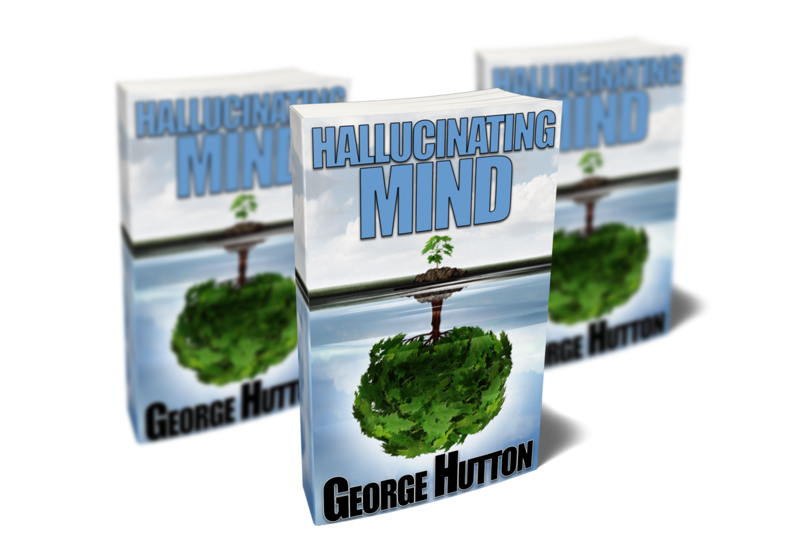 Other hallucinations you can extrapolate out into the future, and see how they might shift as the ever changing reality around us is shifting. Remember those hunters that became farmers? This was there discovery. Hunting is easy. If you’re hungry, go out and kill something! But farming requires a much different kind of thinking. How to see how your efforts today will play out in a few months. This also is a skill. One that can be practiced. One that will allow you to see multiple futures, laid out before you, changing as you consider different actions today. The stronger your future hallucination skills, the better a goal setter you’ll be. The better choices you’ll make. The more easily you can plan any future and make it happen. See it mind, one, two, three years out, and make happen. It’s one thing to be able to hallucinate a vivid dream of what could be. It’s something else entirely to take that hallucination, describe it in rich detail, so that others can see it as well. Human language is the nearly magical skill that works as hallucination replication system. 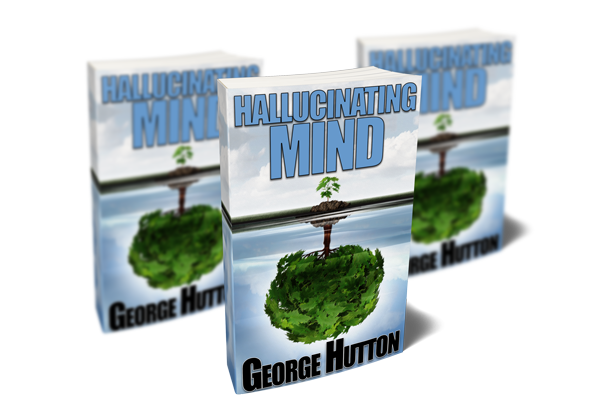 One hallucination in one brain is pretty amazing. But once you develop the skill of hallucination replication, plenty of brains will be busily thinking of your idea. Trying to figure out ways to make it come true. At the same time, this is incredibly normal and common. But it’s also pure magic. We’ll dig into each of these three powerful human skills, and understand just how necessary they are for success. Then we’ll learn several exercises that you can do, every day, to strengthen your thinking and speaking skills to Einstein levels genius. This guide is broken down into three sections. A description of the Trifecta of Excellence. The various areas of life where harnessing it will make you a superstar. The specific daily practices to get started today so you can build the exact life you want. Learn how to take raw material from around you, mix it into your thinking brain and create a vivid hallucination that represents your ideal future. Communicate that future to others and make it happen. Get this guide now and start building your life today. The vast majority of people underutilize their potential. The waste their miraculous brains on social media, TV, and idle gossip. Treat your brain like the muscle that it is and build it into a magnificent machine that will stun the world. You were not put here to survive, but to thrive. To do that you must understand how to use your most valuable tool. To think, to create, to plan, to communicate and to build. Get this guide now and start building a better world.